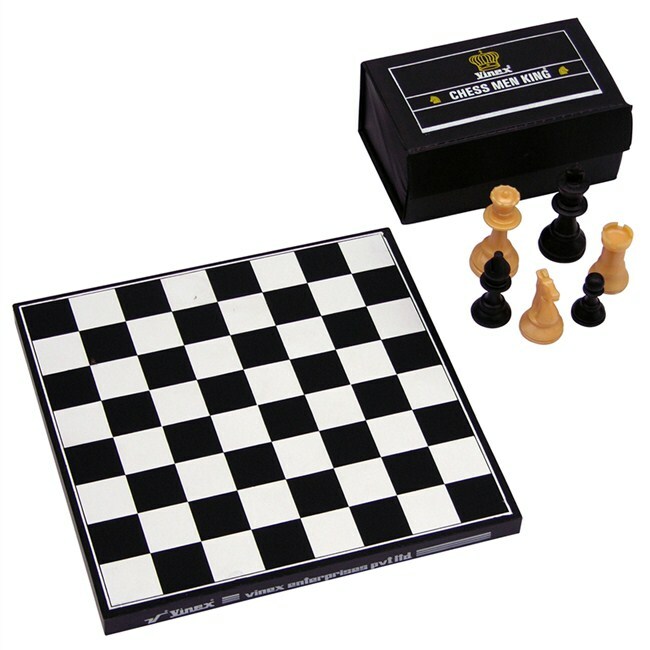 VWCS-G30M92BG Includes in Set - 1 Pc Wooden Chessboard Size - 30 cm x 30 cm, 1 Pc Chessmen Tournament - Black & Gold. This combo set consists of one Wooden Chessboard and Chessmen. Size of king is 9.2 cm. This high-end wooden Chessboard is manufactured from 18 mm thick premium quality particle board. Chessboard has clean and crisp inlaid squares and a clean, fresh look. Chessmen are solid construction made of plastic and comes in a plastic storage box.